1. and in high quality with a whole piece of aluminum alloy back cover. 2. 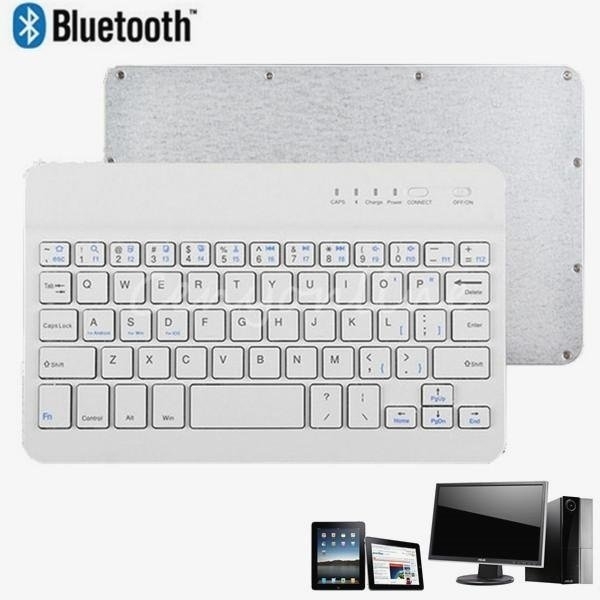 Brushed metal texturing keyboard panel is anti-skid and gives you a feeling of high class. 3. 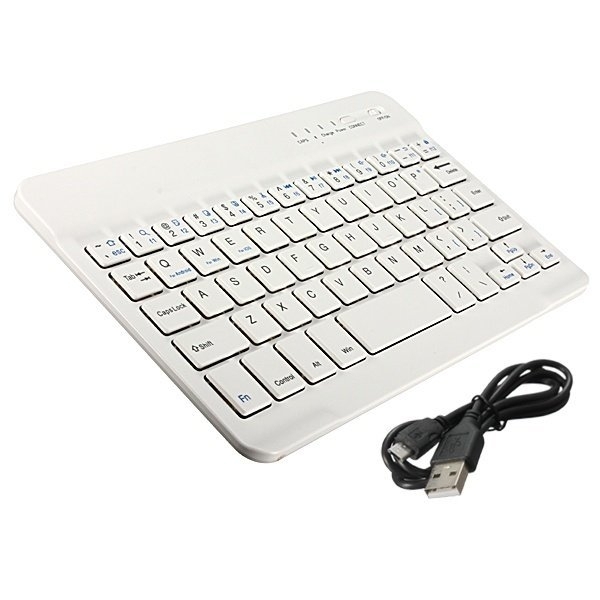 Portable, ultra slim and very convenient for you to carry it to travel or go on a business trip. 4. It can be used with smart phone, tablet, notebook, and desktop computer. 5. Use Broadcom Bluetooth Module 3.0,with stable quality. 6. The system is designed for Windows,Android,IOS. 8. 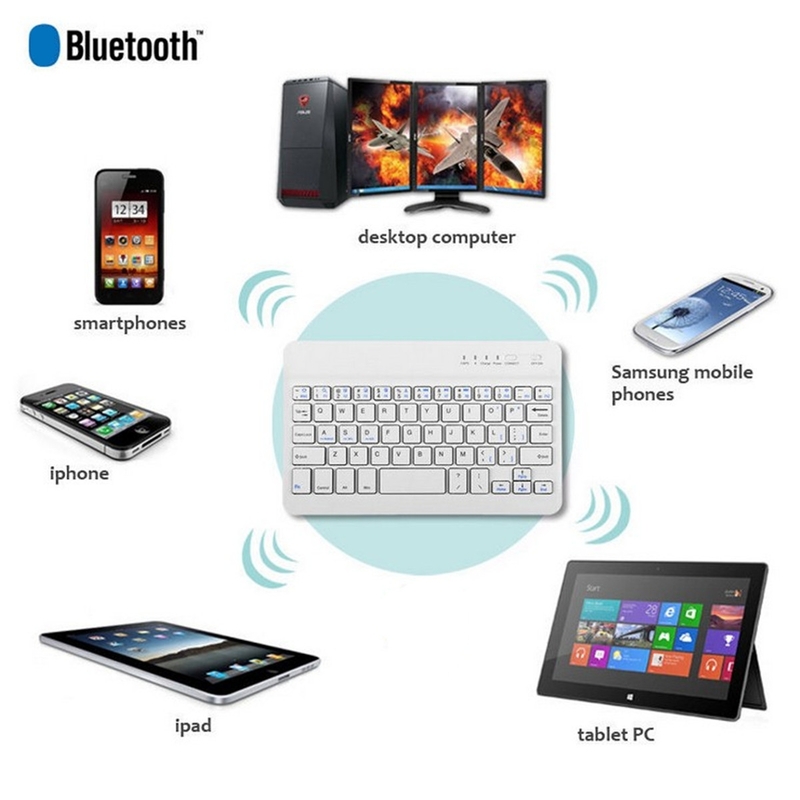 Scissor type keyboard, quick typing, good feeling. 9. Micro interface, easy to charge. 10. Energy saving keyboard sleep mode.